Pratt & Whitney and Embraer celebrate a significant milestone as the E195-E2 aircraft receives Type Certification from three regulatory agencies, the Agência Nacional de Aviação Civil (ANAC) in Brazil, the U.S. Federal Aviation Administration (FAA) and from the European Aviation Safety Administration (EASA). Pratt & Whitney, a division of United Technologies Corp., and Embraer are celebrating a significant milestone as the E195-E2 aircraft receives Type Certification from three regulatory agencies, the Agência Nacional de Aviação Civil (ANAC) in Brazil, the U.S. Federal Aviation Administration (FAA) and from the European Aviation Safety Administration (EASA). The aircraft is exclusively powered by the Pratt & Whitney GTF™ PW1900G engine and is scheduled to enter into service in the second half of 2019 with Azul Brazilian Airlines. "Thank you to our Embraer employees, our customers and our suppliers for their support of the E195-E2 program. This is a historic accomplishment and a day for celebration for all parties involved," said John Slattery, President & CEO, Embraer Commercial Aviation. "I want to especially recognize the contributions of Pratt & Whitney and the outstanding performance of the GTF engine which will power the E2 for years to come." Embraer's E190-E2 aircraft, which is also powered by the Pratt & Whitney GTF engine, entered service in April 2018 with Norway-based Widerøe. 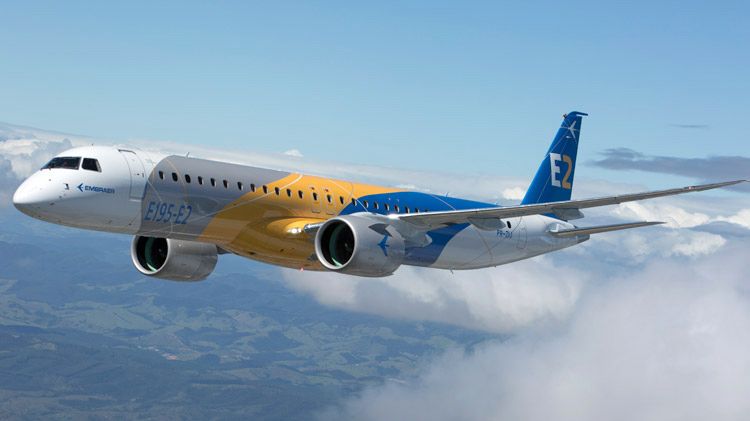 "Congratulations to Embraer on the certification of their E195-E2 aircraft," said Chris Calio, president of Commercial Engines at Pratt & Whitney. 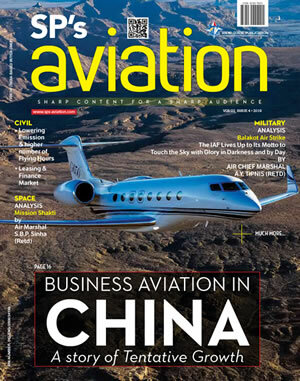 "The E2 is widely recognized for setting a new benchmark for performance and environmental leadership in the regional jet market, and we are honored to contribute to this legacy. We thank the individuals at Embraer and Pratt & Whitney for their dedication and teamwork in achieving this noteworthy milestone." The E195-E2 aircraft provides more than 24% reduction in fuel burn per seat than the previous-generation E195, with NOx emissions 50% below the ICAO CAEP/6 regulation and 19dB to 20dB of ICAO Chapter 4 cumulative noise margin.